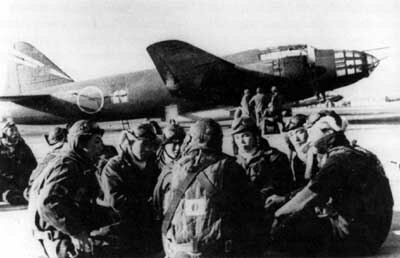 Japanese Army bombers joined the kamikaze wing this time, covered by a few of their newest top-line fighter escorts. The bombers came down out of the clouds in four or five waves, mostly dead-on target. They were hunting fixed locations on a land mass which would be well familiar to them. They say our fighters actually intercepted and damaged most of the Jap heavies, but the mass of each bomber, and its substantial payload, isn’t deflected by a few machine gun bullets. High explosive and incendiary bombs, wrapped in plane parts, first hit on and around the facilities in Miyazaki harbor. The largest old wooden pier burned for hours. One newly built metal causeway was cut in half by a recently erected metal crane which fell through it into a freshly dredged corner of the harbor. The Japanese were lucky to find a laden tanker car in the main rail yard. The odds were good since there is almost always a tanker loading there, to bring fuel forward to our thirsty heavy armor. Some hundred thousand gallons of gasoline lit the city for an hour, consuming untold other buildings and equipment with it. At least one road bridge was cut in two. A number of the more densely occupied building blocks were also hit. The Japanese seemed to know just where the key facilities were set up. First Corps headquarters was barely missed. Medical staff on my ship are anxious to get word about the hospital complex, which had a falling bomber explode just outside the largest building. The building was badly damaged and may not be usable. Dozens of patients and staff were killed. I was more motivated than ever to get back into the action, but all I could do was write about activities and conversation on the hospital ship. There is little for men to do on a ship like this but to one-up each other with combat stories, or try to chat up the outnumbered nurses. I held a losing hand at either game, so I caught up on news from far away. Home front news which should be encouraging was bemusing at best to men deployed here. A rush to demobilize and kick start the peacetime economy was both exemplified and fueled by boat loads of servicemen returning from Europe. Tokyo Rose reminded us often that guys at home had a head start on taking all the good jobs – and good women. I myself couldn’t help but scan the major newspaper mastheads for new editors and feature columnists.